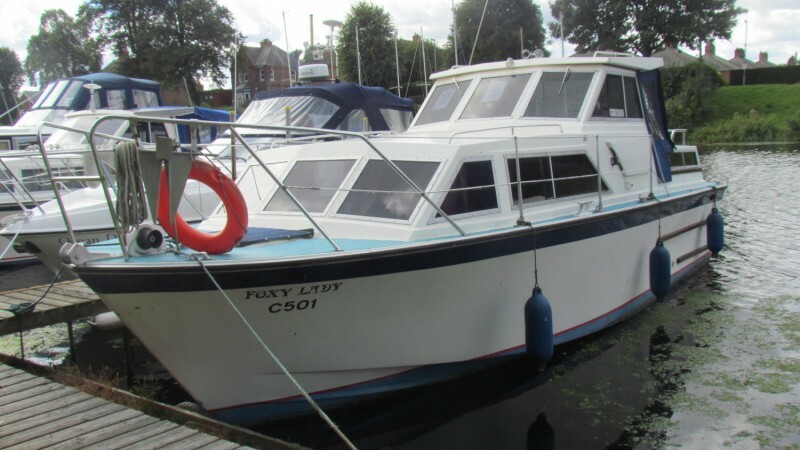 Foxy Lady is a well presented twin diesel vessel with 6 berths in 2 cabins. 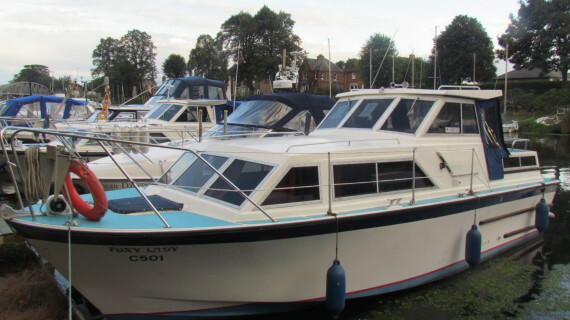 Built in 1986, she has twin Ford 1.8l diesel engines, two engine batteries and one domestic battery. The BSC expires in 2018. 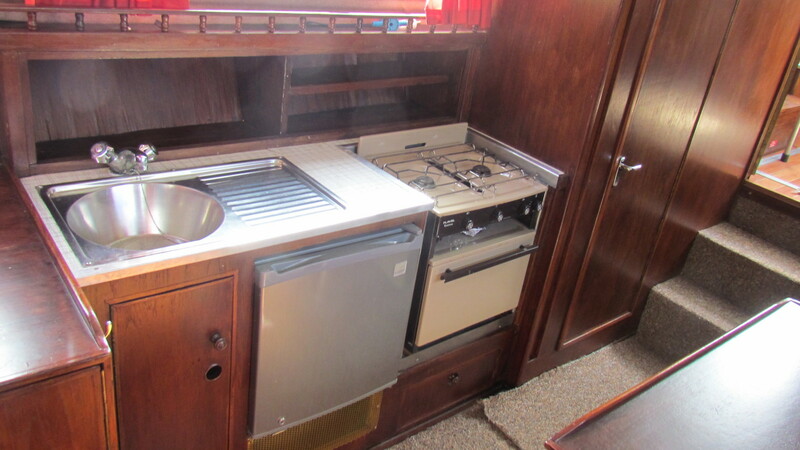 Hot water is via a calorifier. 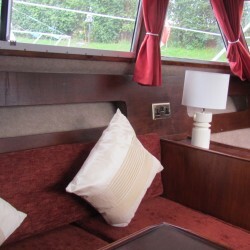 The front v berth has an insert to convert into a generous double berth. 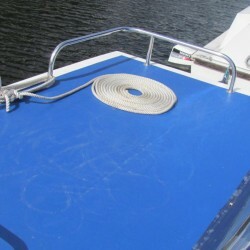 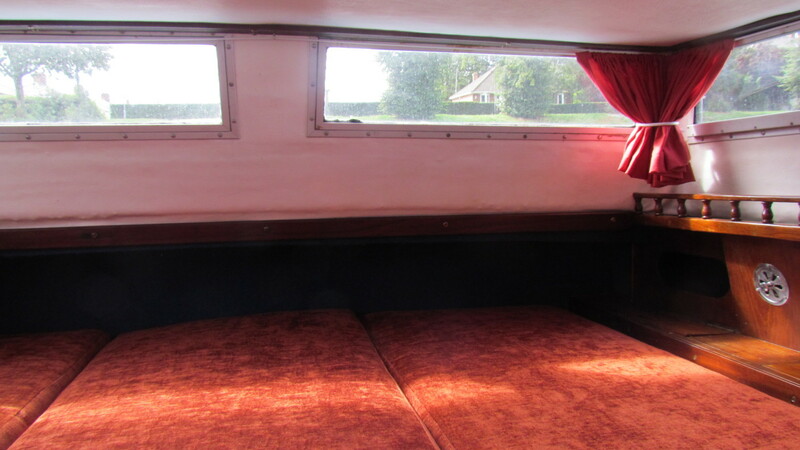 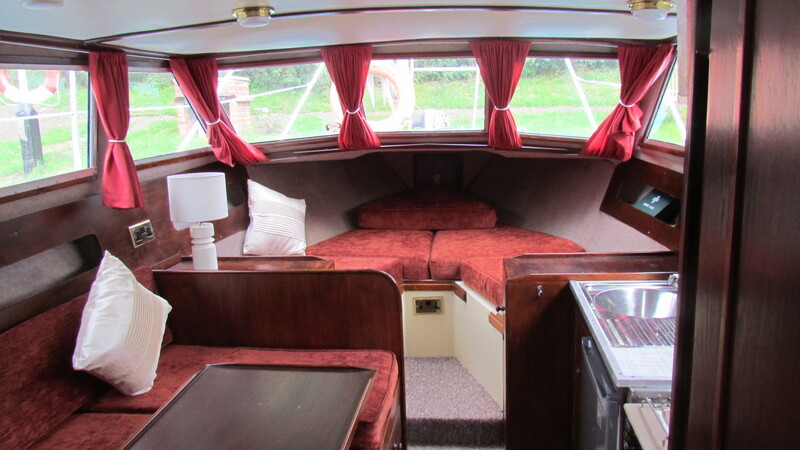 It has an escape hatch to the front deck, and is open plan to the saloon. 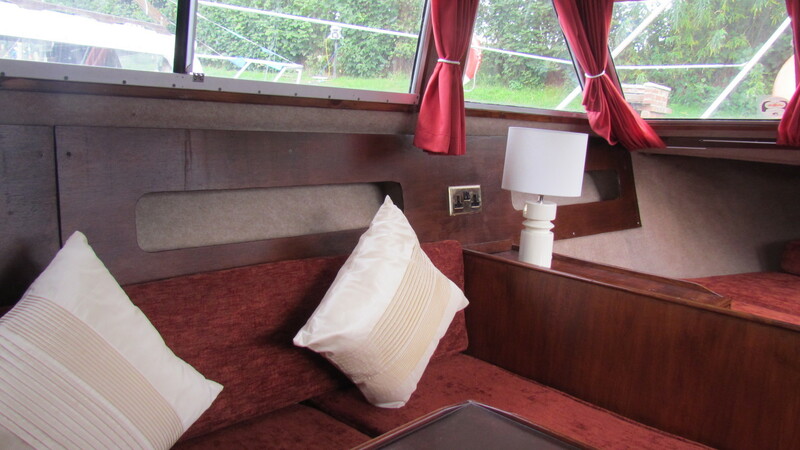 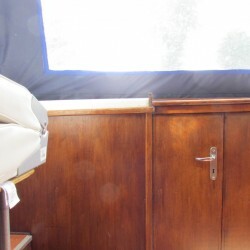 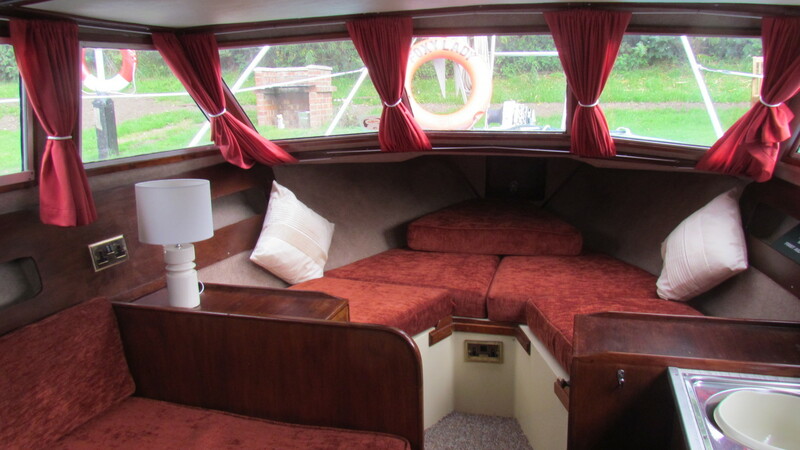 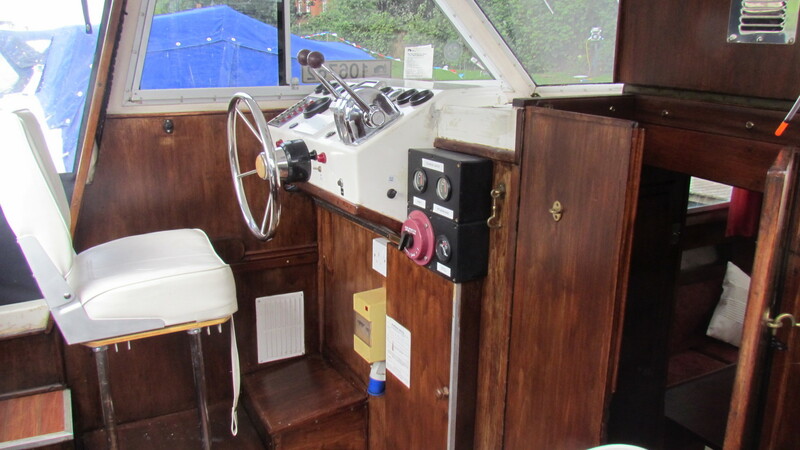 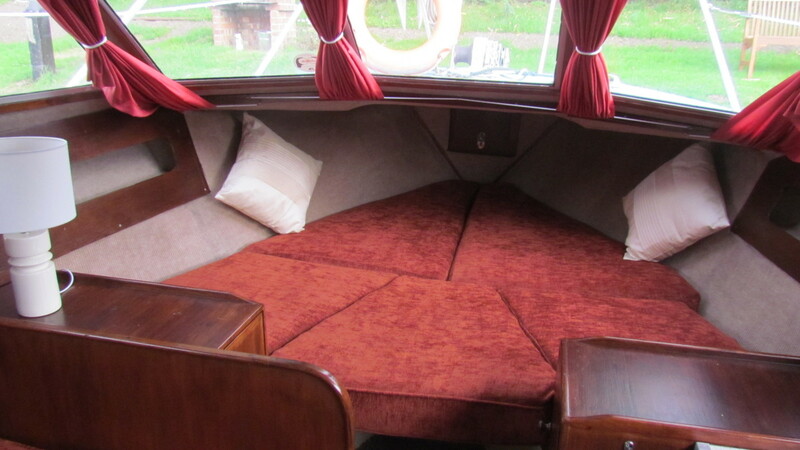 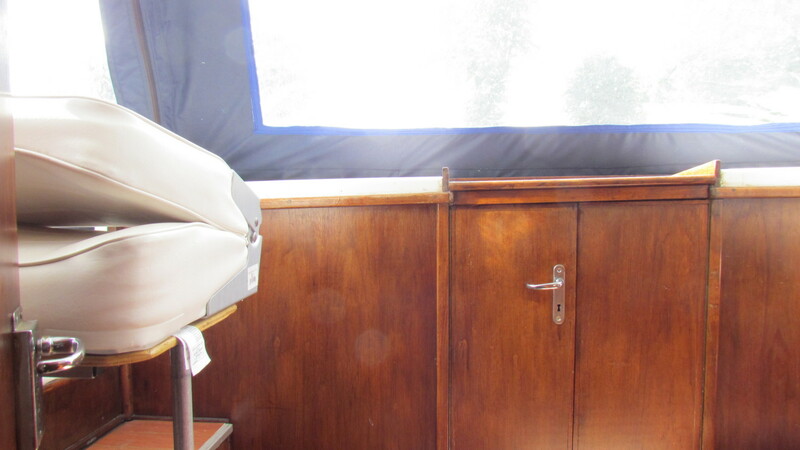 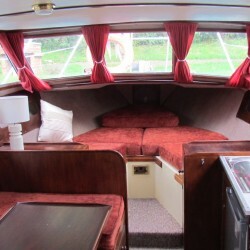 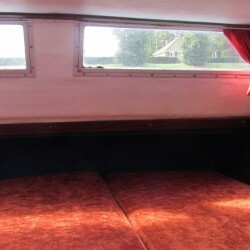 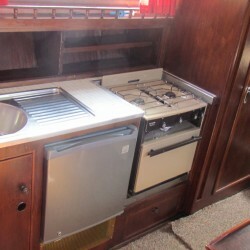 The saloon has a table and seating to the port side, galley with sink, hob, oven and fridge to the starboard side. 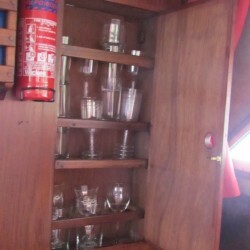 Behind the table area is a drinks cabinet. 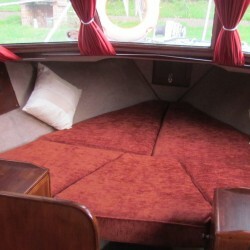 The table drops down to form a double berth. 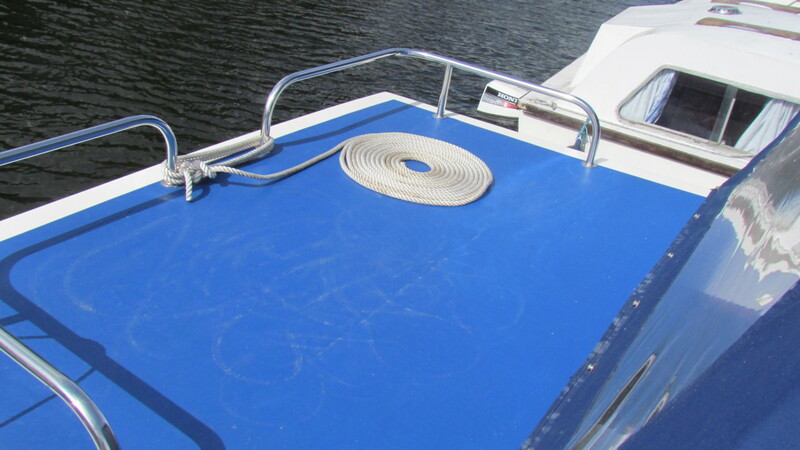 To the starboard side is the heads with a handbasin and chemical toilet. 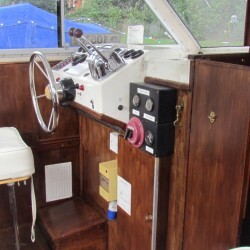 The cockpit has the helm seat and controls to the port side. 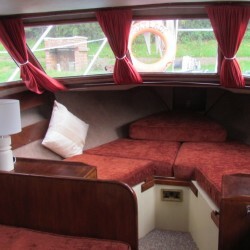 Steps lead down from the cockpit to the aft cabin which stretches the width of the boat. 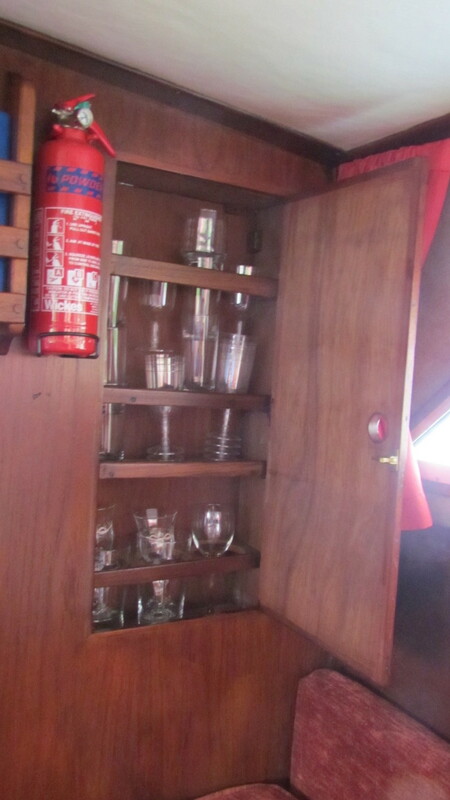 There is plenty of storage as well as a handbasin.